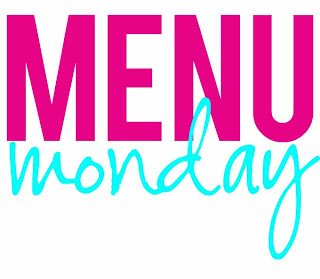 Going to try a new blogging feature…Menu Monday where I will be sharing what our family will be eating for the week. I am hoping that this encourages me to expand my cooking skills. Now, fair warning. I might mix my week up and not cook these exact meals on the right day (based on time we have, or whatever else is going on) but this is what I am planning for this week. The boys are home this week for Christmas Break, so we are having breakfast and lunch at the house - most likely easy things that can be eaten on the go. Monday: Hamburgers + fries at my parent's house. My dad grills the burgers while I will be making these french fries. Its a Pioneer Woman recipe that we have used before, and let me tell ya - they are delicious! Tuesday: Baked Parmesan Chicken, fresh green beans with bacon (I use this recipe, without the mushrooms), salad and potato rolls. Wednesday: Alex is off on Wednesday, so we will eat out for lunch and then have Spicy Sausage Pasta and cheese bread. Thursday: Chicken and/or beef quesadillas. Normally when I make quesadillas, I make the chicken ones but depending on everyone's mood, I could use steak. Friday: Eat out. Woo whoop! I normally won't be posting a menu for Saturday or Sunday as those days we typically decide as a family what we are eating. Maybe this can help inspire you to post what your family is eating! I only cook very simple things so I am always needing to be inspired to 'step out of my box' with my meals. If you post what your family is eating, leave a comment and let me know so I can check it out!